Hey guys! Today I wanna share with you my thoughts on the famous Beautyblender (BB) and the supposed dupe for it, the Real Techniques Miracle Complexion Sponge (RT). Ok, just some background for you guys: I first started out using the RT. It was probably within the last 2 years where beauty sponges became the hype and tons of companies were producing their own. The most famous one, of course, was the BB. I have heard so many good things about the BB and all my favourite youtube gurus were using it - basically, BB was seen to be a miracle sponge. Miracle. It also costs SGD $29.90 for one. Considering I was (and still am) lacking in funds *ahem*, I decided to buy the RT when I was in London instead (it retails for 6 pounds). I wanted to see what was all the fuss about these beauty sponges and how will it change the way I apply my makeup. So I purchased the RT and I was impressed. It is super soft and bouncy and it applies my foundation evenly without any streaks. I love how the RT has a flat side to it which makes it easier to blend you foundation by pressing this flat side onto your face continuously in a "bouncing" manner. The pointed side is also excellent for blending in concealer under the eyes - and as this sponge is so soft, it does not drag or hurt that sensitive and fragile under-eye area as well! The flat side of the RT is excellent! The RT is slightly bigger in size when dry as compared to the BB. It also feels harder. However, when placed under running water for a few seconds, the RT just grows in size (almost the same as the BB) and becomes super soft and bouncy! In fact, personally I find the RT to be slightly softer than the BB when damp. After being blown away by the RT (and after many youtube gurus saying that it is worth the investment), I decided to make the plunge and purchase the BB. I got it in the Pro version (black) as I thought that staining of the sponge by foundation would be less obvious. This i also because the RT is in this pastel orange colour and my heart hurts whenever I use it and it just becomes.... murky. Is that even the correct word to describe it? It's all splotchy and orangey-brown (but then again, that is a sign of it getting some love! ;)). The BB looked phenomenal - in its packaging and all. I was so excited to use it and be blown away. But no, I wasn't. Sadly. Personally, it just failed to match my expectations (which were obviously really high due to all the hype). Don't get me wrong, I don't hate it and I'm not bashing it. It worked amazing and it accomplished whatever people said it would. But, it just basically accomplished whatever my RT did, but I expected it to exceed it (do you feel me here?). The finish of the foundation looked the same regardless of using the RT or the BB in my opinion. I searched hard to see if there was any difference (trust me, I did. I had to justify my spending) but I couldn't find any. Both gave me a flawless and airbrushed look and the coverage I had using either sponges was similar. Both sponges are soft, they work really fast in blending in your foundation (as compared to using a buffing/stippling brush) and they both have a pointed tip which helps in the blending out of my under-eye concealer. However, the RT's pointed tip is slighty sharper than that of the BB. Additionally, in terms of texture of the sponges, I find that the BB is softer when dry but the RT is softer when damp. The tip of the RT is slightly sharper! 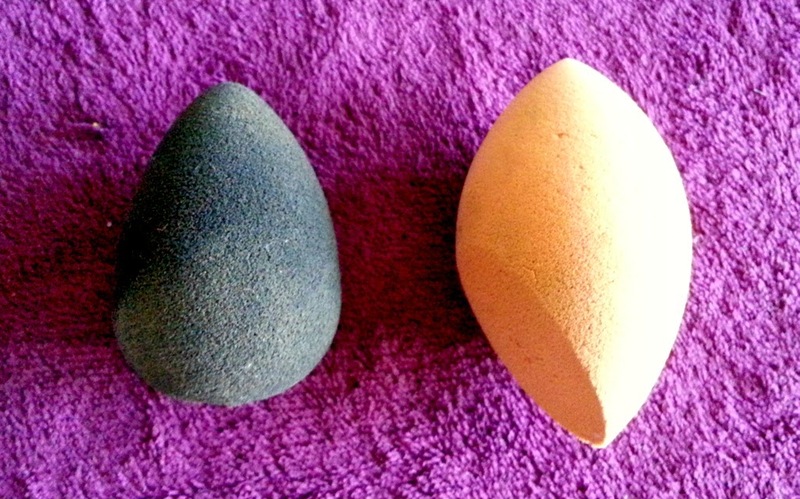 Overall, yes, both of these sponges are amazing and a great addition to everyone's makeup routine. Which would I recommend? The Real Techniques Miracle Complexion Sponge. Why? Firstly, it does whatever my BB can do! So for all those makeup lovers out there, yes, I am calling the RT to be a dupe for the BB. 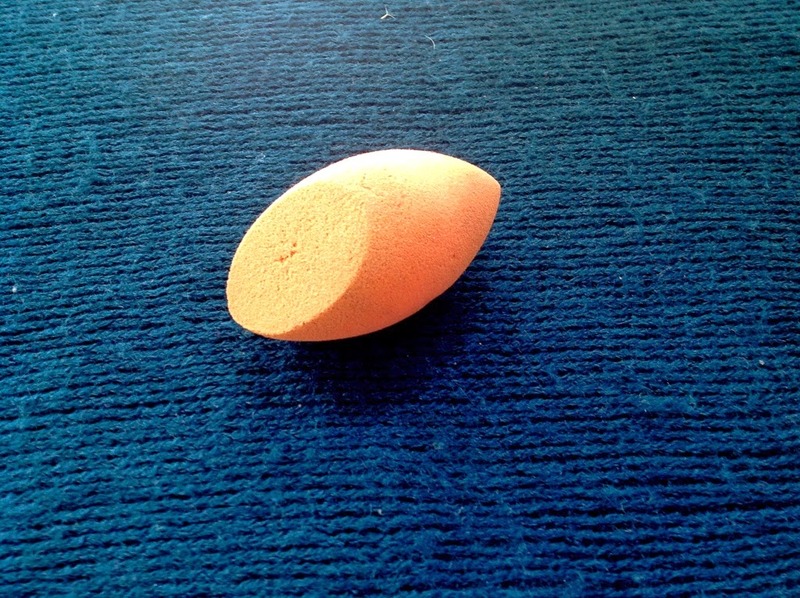 Next, as sponges are breeding grounds of bacteria, it is preferable to change your makeup sponge often. Thus, of course getting the cheaper option here makes sense. It hurts me to purchase one BB, let alone me constantly changing and repurchasing it every few months! Here is the price comparison again : RT (USD $6 / SGD $7.80) VS BB (USD $19.95 / SGD $29.90). Yup. Of course, BB can be purchased in duo sets, making them slightly cheaper so ultimately it is your decision. :Lastly, I do prefer the shape of the RT sponge as the flat side really helps in the stippling of my foundation as compared to the roundish shape of the BB. 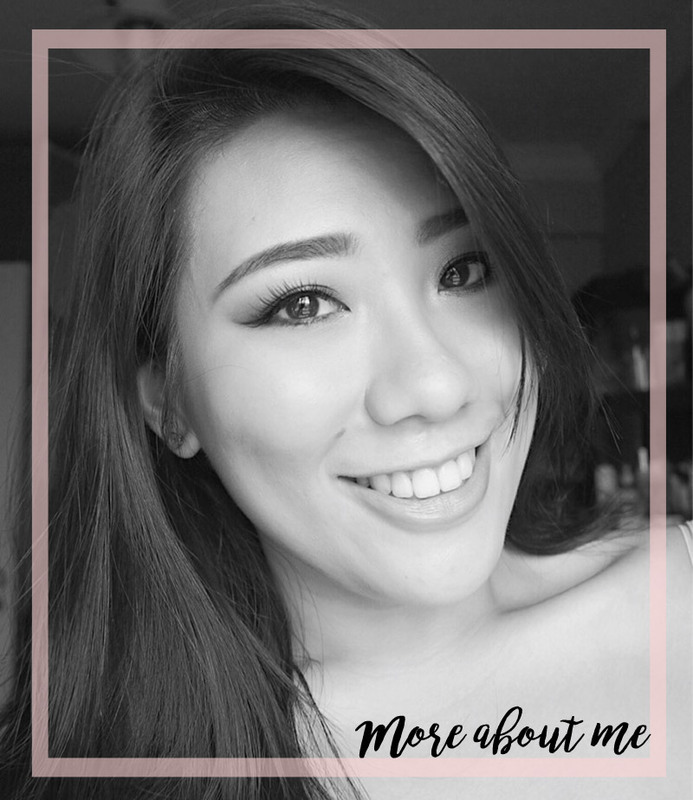 Hope this review and comparison will help you guys out there (especially those who are still thinking hard on whether to get the beautyblender!). That's all for me today. 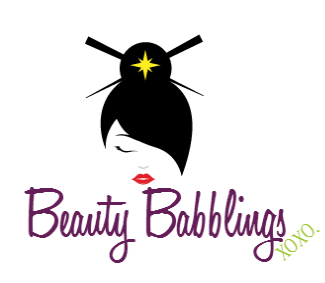 Have a great makeup day loves XO.